HomeInformationWhy is the CQC Important. 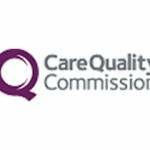 The CQC (Quality Care Commission) is the independent regulator of health and social care in England. It ensures health and social care services are safe, of a high-quality, effective, compassionate, and meet legal standards. This regulation allows the public to make informed decisions when choosing a care provider. •	Excellence – being a high-performing organisation. •	Caring – treating everyone with dignity and respect. •	Integrity – doing the right thing. •	Teamwork – learning from each other to be the best we can. A positive attitude in the care sector is a choice. It’s very important we understand that the CQC audit, inspection and improvement process is a positive and continuous cycle. Having an open and passionate culture allows a care provider to effectively tackle new challenges and issues and this will readily evolve to improve care quality. It is beneficial to look forward to CQC inspections, it is an opportunity to showcase your best practice and gain positively from the inspection experience. As a care provider, culture and motivation are led by the management team. If a care service is led by positive, passionate and motivated work ethics, the whole team will inevitably learn from this and it will reflect in their delivery of care. A team who care and work for each other will ensure individuals feel safe and wanted. Carers who are optimistic about the service, their leaders and their fellow carers, contribute to a culture which breeds good care. A care service team that is engaged in the service and is willing to get stuck in to find out the real issues will almost certainly be an effective one. A good oversight of care management and practice results in a care provider who knows the pulse of their service, staff that feel valued and secure, clients who receive good quality care, and family and friends who have confidence in the care provided to their loved ones. A good care provider creates and uses strong systems and processes that drive continuous improvement to support themselves and the service they run. They help plan staffing and train staff effectively, manage essential functions such as safeguarding and incident recording, reporting and safety alerts. They use systems that strengthen governance and help to ensure transparency so that services can learn and improve when things go wrong. The CQC process is positive and important. Managing a care provider organisation is never easy to get 100% right, however, if the care service is safe, effective, caring, responsive and well-led, this is in line with the CQC’s values.